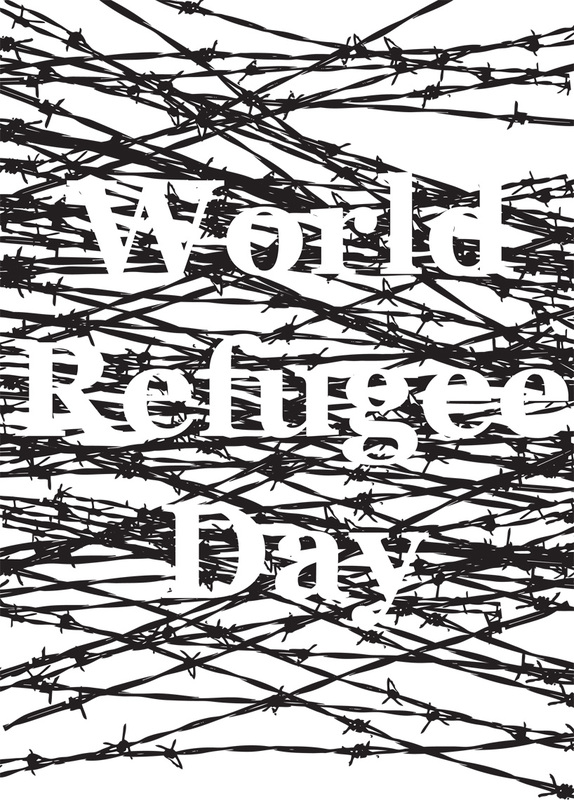 Event and book launch to commemorate World Refugee Day. 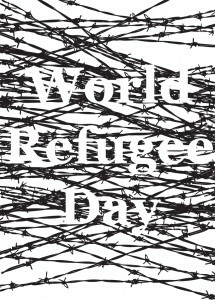 The book is a compilation of testimonies by refugees. 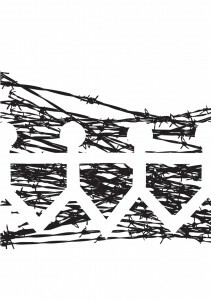 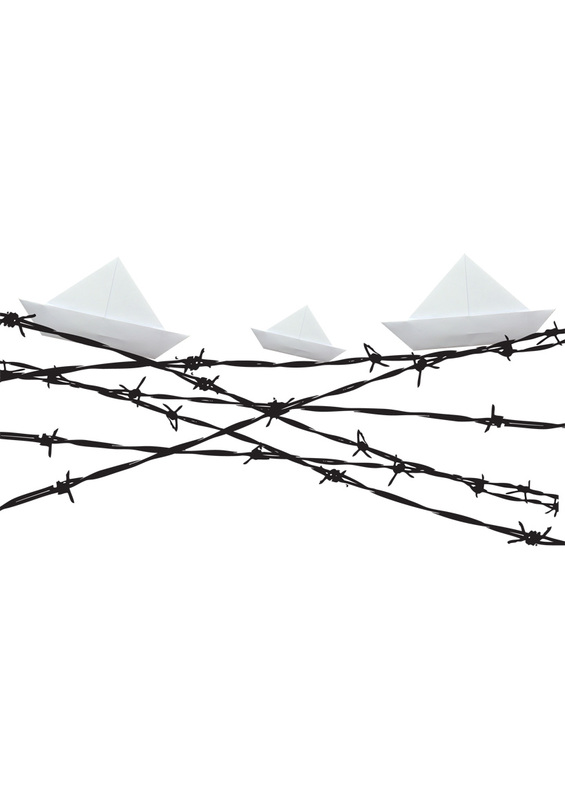 It’s about their personal stories of imprisonment, escape, long journeys and trauma. 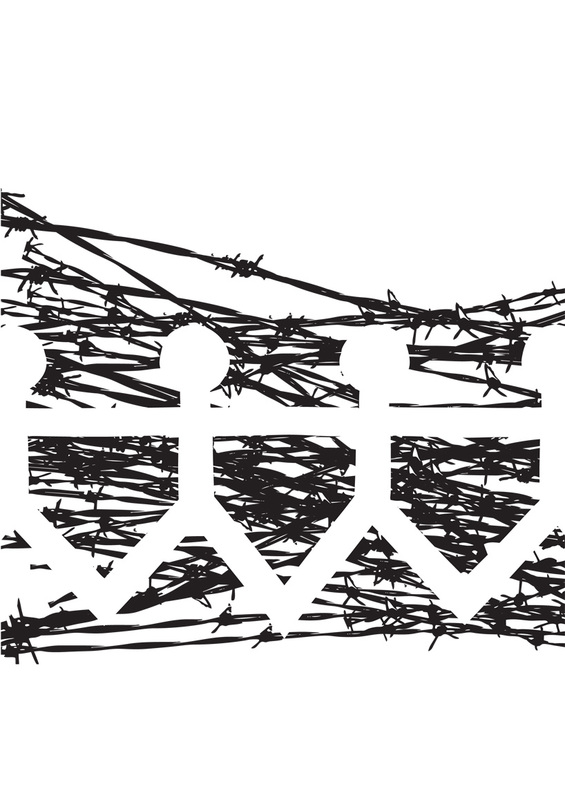 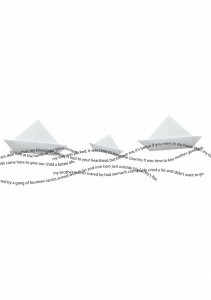 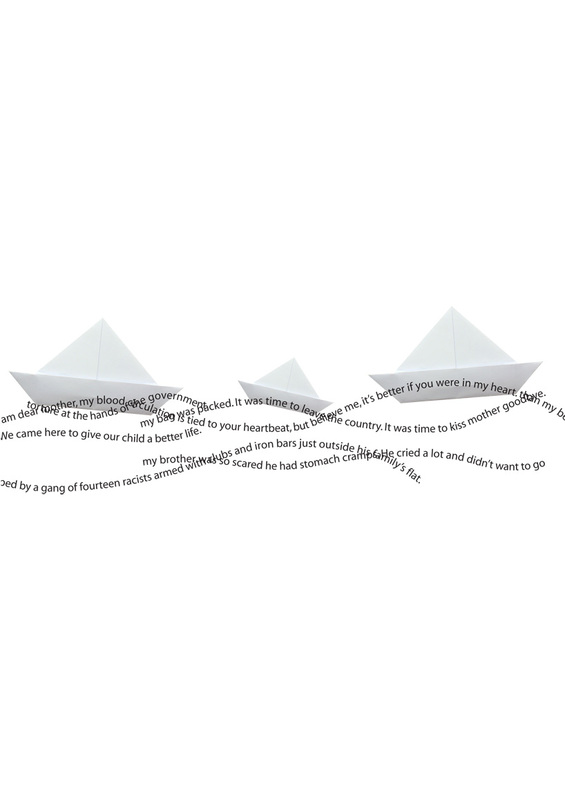 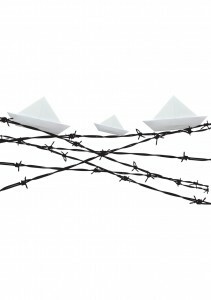 I wanted the artwork to reflect these themes and the images that came to mind were fragile boats, barbed wire and waves of words. 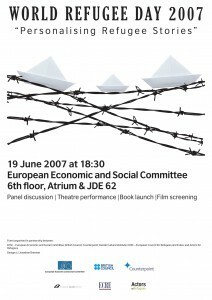 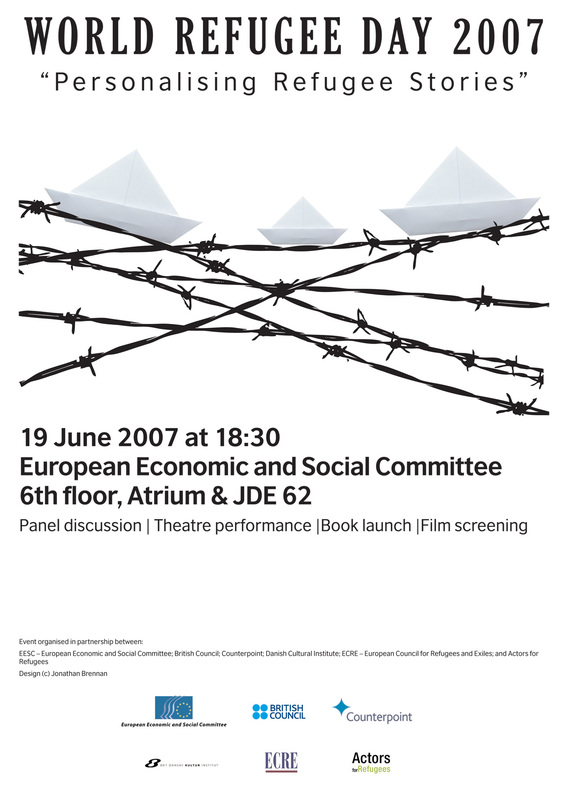 The sample images below, in which the tone ranges from harsh to kind and eventually rests somewhere in between, show the evolution of the design and the artwork used on a poster for the event.